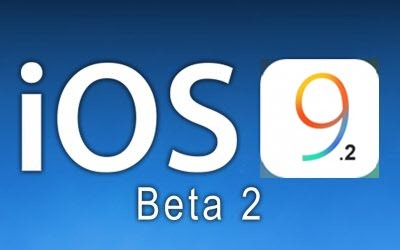 The second iOS 9.2 beta has been seeded to the public developers, just one week after iOS 9.2 beta 1 was released. The new iOS 9.2 beta, build 13C5060d, is available as an over-the-air update and through the Apple Developer Center. In the iOS 9.2 beta 1, Apple did not give us too much information about the new features and bug fixes in iOS 9.2, but this time, some new features have been unveiled. Here we go. - It's now possible to dismiss the Safari View Controller with an edge swipe. - The second iOS 9.2 beta includes support for AT&T's NumberSync feature, which is part of Wi-Fi Calling. With NumberSync, AT&T users can receive calls to their phone numbers on Macs and iPads even when those devices are not on the same Wi-Fi network as the iPhone. - Un-paring and re-pairing the Apple Watch will no longer cause the Stocks glance to go missing. - Syncing Music to the Apple Watch has been fixed. - An issue impacting audio quality when playing audio over USB in some car stereos has been fixed. - A bug with iCloud Keychain has been fixed, so users should no longer see "Could Not Set Up iCloud Keychain" errors. - Videos with 'folw' track associations will no longer fail to play on 32-bit devices. This iOS 9.2 may be released to the public officially later this Month.